The truth behind common treatment and healing myths. Find out why cortisone, ice and surgery are not the best methods. We dispel myths about night splints, heating pads and painkillers. Rest is very important when recovering from an injury. 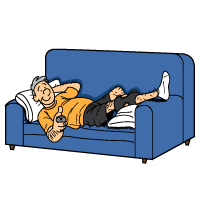 Of course, too much rest can cause stiffness, but resting when you can will help you avoid further injury. While it is true that moving promotes blood flow, and in turn blood flow promotes healing, too much movement too soon in the healing process is a bad thing, as it only results in re-injury and a much longer recovery time. Certain exercises and stretches can be beneficial, but these should not be done until you are further along in the healing process. Also, you cannot keep doing the same level of activity you were doing before becoming injured. You need to let your body rest. You can gradually work your way back up to your regular activities, but this will take some time. You may want to consider activity modification. This means trading in high impact activities like running for low impact activities like swimming. Bleeding should slow down if you raise an injury higher than your heart; however, this isn't necessary for any other kind of injury. Simply resting the injury is sufficient. You want to reduce any pressure or strain being placed on the injury, and elevating the injury might be one of the ways you do this. For example, if you have an injured leg, knee or foot you might want to use a footstool when you're sitting down, or may want to use a pillow under the injury when you're sleeping. One of the biggest mistakes you can make during recovery is stopping treatment before your injury has finished healing. The healing process does not end once the pain stops. The healing process takes much longer than most people realize. (You can click here for the full story.) The key thing to remember is that long after the pain stops, your tissue is still healing. This means you need to continue doing BFST® treatments in order to complete the healing process. Doing regular BFST® treatments for several months after the pain is gone is extremely beneficial. Do a BFST® treatment prior to any physical activity to warm up your circulatory system and to help avoid re-injury. A common myth is that the area where you're feeling the pain must be the exact spot where the injury is located. This is incorrect. While you can treat the painful area with cold and compression, you also need to make sure you treat the area of injury as well, because these aren't always one and the same. For example, you could have a pain in your neck that is actually being caused by a shoulder injury. That's why it's important to seek a diagnosis from a medical professional. 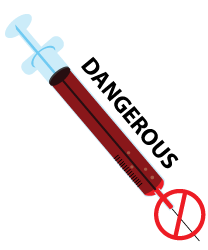 Cortisone injections are designed to temporarily relieve pain and swelling, however, they come with a variety of risks and side effects. These include skin discoloration, allergic reaction, infection and nerve damage. They're also associated with tendon rupture. That's why patients are advised against getting more than 3-4 cortisone shots into an area over the course of a year. Cortisone shots are not designed to heal the injury. They simply mask the pain and can cause you to feel a false sense of ability, leading to a higher likelihood of re-injury. If the cortisone shot is not administered properly, there's a chance that it won't have any effect. Some people are also unable to metabolize cortisone, meaning it would not provide them with any relief. 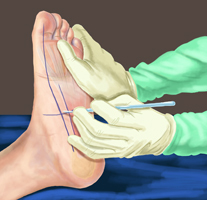 In cases of Plantar Fibromas, cortisone shots can actually cause the Fibromas to spread and grow. Please visit our Cortisone Shots page for more information on the potential dangers of cortisone. Painkillers should never be used during times of physical activity. This is because painkillers completely block the pain signal, making you totally unaware that you're doing more damage to the injured area. Painkillers mask the pain, tricking you into thinking you're better and able to push yourself physically, when this will only result in further injury. Make sure you restrict painkillers to times when your body is at rest. An ideal time to take painkillers is before bed. Using painkillers when you're active means risking complete rupture of your tissue, and this means surgery and an even longer recovery. While painkillers are effective at relieving pain and inflammation, they are not designed to address the root cause. You need more than painkillers if you really want to heal. While using a heating pad on an injury can feel good due to the warmth, they do not provide any healing benefits. People sometimes make the mistake of thinking the BFST® device is an "overpriced heating pad", but the reality is that BFST® can heal soft tissue injuries, and heating pads can't. BFST® stimulates healthy blood flow in the area of your injury, deep below the skin. 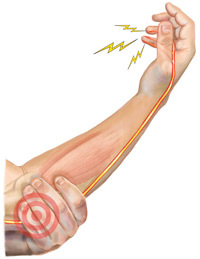 This increase in blood flow works to speed up the healing process. Heating pads can't do this. They simply bring blood to the surface of your skin, making it hot to the touch. BFST® technology far surpasses the heating pad in terms of therapeutic benefits. Stabilizing an injury while you're active is very important in reducing the risk of re-injury, but rigid splints reduce movement so this means they also restrict the blood flow required for healing. 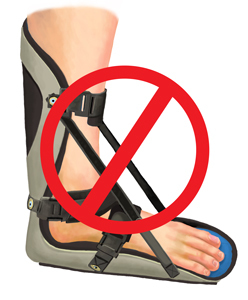 Wearing a splint should ideally be limited to times when you're active and if you need to restrict unconscious movement while you're asleep. 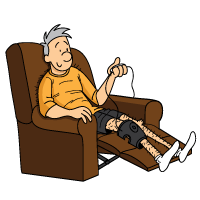 Remove the splint when you're not active, rest your injury and allow your blood flow to circulate freely. An alternative to wearing a splint during activity is KB Support Tape -- this will stabilize your injury and will provide compression, but won't restrict movement and blood flow. While the BFST® device is a relatively recent invention, the idea behind it has been around for a very long time. BFST® is based on diathermy, which is used to treat a variety of soft tissue injuries and health conditions. Our products work. We have FDA Registration, Health Canada Certification and lots of customer testimonials to back this up. 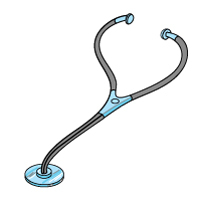 If our medical devices didn't do what we say they can do, we wouldn't be able to list them as medical devices. Our BFST® device is a Class II FDA Registered medical device. It has also passed the Health Canada approval process. This means it is held to very high standards of safety, quality and performance. If you're not convinced, take a look at our Customer Testimonials. These are 100% genuine reviews from our happy customers. We usually think of inflammation as presenting a certain way: red, tender and swollen; however, inflammation isn't always external. Internal inflammation is not visible to the naked eye. It affects the soft tissues (ligaments, muscles and tendons) deep below the skin and fat. Internal inflammation can be reduced the same way that external inflammation is: with cold and compression. So even if you don't have visible swelling, your pain could be a sign of internal inflammation, which is why cold and compression should be applied for about 2-10 days, depending on the severity of your injury/condition. Most people think that RICE - Rest, Ice, Compression & Elevation - is the formula to follow when treating inflammation, swelling and pain. The truth is that ice can actually freeze your skin and numb your nerves, causing 'cold burns' and even permanent damage to your underlying tissue. 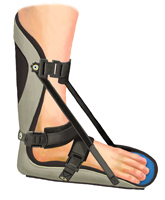 The proper solution is RCCE® - Rest, Cold, Compression & Elevation. We don't want to apply ice - we want to apply cold that is just above freezing. Yes, you want cold - and lots of it - but not so cold that it is below the freezing point of water. Surgery is not actually required in order to heal most soft tissue injuries. A partial tear can be healed without surgery in the majority of cases. Surgery should only be considered if your tissue is completely ruptured (in two separate pieces). There are many risks and complications associated with surgery, including nerve damage, infection, tendon rupture, and more. There is also no guarantee that it will get rid of the problem for good. If you do undergo surgery, you can still use our BFST® and ColdCure® products before the procedure to help prepare your body, and after the procedure to accelerate your recovery. Note from KB WebMaster - The text below is primarily intended to assist with Google properly classifying this page content. To learn more about our products please visit our website.<br>There are many myths surrounding the treatment and healing of soft tissues injuries. Working through the pain of an injury is not a good idea. This can lead to further tissue damage. It's best to rest while you can and slowly get back to being active when you're further along in the healing process. If your injury isn't bleeding profusely, you don't actually need to elevate it higher than your heart. Rest alone is good enough. 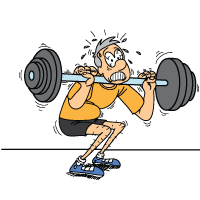 However, it doesn't hurt to elevate lower body injuries while at rest. You should not stop using the BFST Wrap once your pain is gone. The pain stops long before you've finished healing. You need to continue doing BFST treatments for several months after the pain is gone to complete the healing process. Contrary to popular belief, cortisone shots come with many risks and side effects. They're not designed to heal, only to provide temporary relief. Painkillers should not be taken when you're being physically active, as they only mask the pain, making you feel more physically able than you actually are, which can lead to re-injury. Night splints will not promote faster healing. They actually restrict blood flow, which does not help the healing process move along any faster. BFST Wraps are not heating pads. 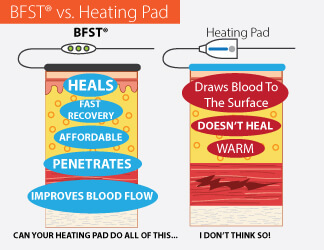 While BFST Wraps promote blood flow to accelerate the healing process, heating pads simply make your skin hot to the touch. 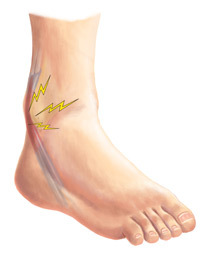 While BFST Wraps may not be known by every doctor or medical professional, they are based on diathermy, which is a well-recognized medical and therapeutic technique designed to treat a variety of soft tissue injuries and health conditions. Pain is a sign that you probably also have internal inflammation. This can be treated with cold and compression, just like external inflammation. RCCE is better than RICE because you don't run the risk of cold burns that can cause serious damage. Surgery should be a last resort when it comes to healing an injury. It's not required in most cases and comes with various risks and complications. These wraps are incredible. They feel comfortable. They work.